A further confirmation of United States efforts to prevent Africa from reaching its full potential in the areas of genuine self-determination and national liberation, resurfaced in mid-May when damning reports about the pivotal role of the Central Intelligence Agency (CIA) in the arrest of African National Congress (ANC) and South African Communist Party (SACP) official Nelson Mandela in 1962 were circulated in the international press. Mandela was stopped at a police roadblock in Howick, KwaZulu Natal on August 5, 1962 and arrested. His capture provided the legal and political basis for a number of trials which culminated with the Rivonia Treason convictions resulting in him spending over 27 years in prison. The CIA’s pivotal role in his arrest after 17 months of underground work has been repeatedly documented going back to at least 1990 on the eve of his first visit to the U.S. after his release from prison. Rickard claimed that ANC informants made him aware that Mandela was traveling to the seaside city and relayed this information to South African police noting that the ANC-SACP leader was planning to return to Johannesburg. Mandela had traveled outside of South Africa, then under the subjugation of the racist apartheid system of settler colonialism, to garner international support for the national liberation movement and to receive arms training aimed at building the military wing of the ANC, Um Khonto we Sizwe (MK). By early 1961, the ANC declared that it was futile to continue peaceful methods of struggle in the aftermath of the Sharpeville massacre of March 1960 and other atrocities committed by the Boer-dominated Republic of South Africa. This diary in question detailed his instruction in Oujda and other Moroccan locations. At present these documents are stored in the national archives under the ANC-dominated government. 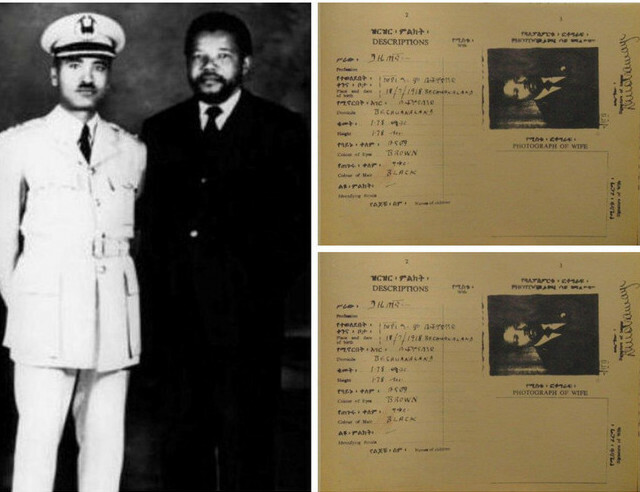 In another publication by Mandela “Conversations with Myself”, includes numerous extracts from his 1962 diary, all of which verifies his military training at Algerian National Liberation Front facilities in Morocco. This phenomenon was part of a broader policy extending from the 1960s to the present. In 1960, the CIA and the U.S. State Department plotted to overthrow and assassinate Congolese leader Patrice Lumumba. Immediately after the former revolutionary Congo prime minister won the largest bloc of votes for his Congolese National Movement (MNC-Lumumba), his government was neutralized and displaced in a coup. Lumumba later fled to the east of the country where he was kidnapped by forces allied with the imperialists. He was subjected to torture and a brutal assassination. Army Col. Mobutu Sese Seko, a CIA asset, served as the front man for Washington and various mining corporations for 37 years when he was displaced in a national uprising in 1996-97. The former Portuguese colony of Angola in southwest Africa was on the verge of national independence in November 1975 when the country was invaded by the South African Defense Forces (SADF) and the CIA in order to prevent the revolutionary government led by Dr. Agostino Neto from taking power. The Popular Movement for the Liberation of Angola (MPLA) was aligned with the South West African People’s Organization (SWAPO) of Namibia and the ANC of South Africa. 55,000 Cuban internationalist forces were deployed by the-then President Fidel Castro who worked in conjunction with national and regional forces to drive back the SADF, establishing Angola as a rear base of the struggle to eliminate white-minority rule in the sub-continent. As recent as 2011, the administration of President Barack Obama dispatched hundreds of CIA operatives to Libya setting the stage for a massive bombing campaign which lasted for seven months toppling the government of Col. Muammar Gaddafi, a former chair of the African Union (AU), a continental organization that he co-founded in 2002. These instances represent a few important cases highlight the legacy of U.S. interference in the internal affairs of the African continent. Such occurrences reveal that Washington has never been a supporter of African independence contrasting its stance with that of the socialist countries such as Cuba and the former Soviet Union.